The winners of the Australian Institute of Landscape Architects’ Queensland State Architecture Awards have been announced. 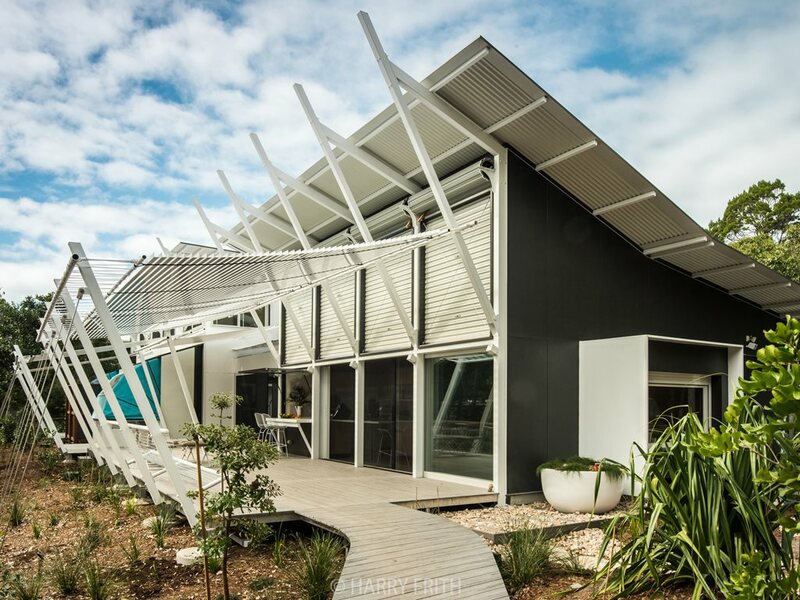 According to the judges, the quality of work from regional Queensland has shown a commitment to human-centred design but also a focus on sustainable architecture that is responsive to the unique and varied climates that exist across Queensland. The Blackwater Aquatic Centre by Liquid Blu Architects received the highest honour, the FDG Stanley Award for Public Architecture. The project is an acquatic centre that has been integrated into an established sporting precinct that supports regional sporting groups and events. “Providing a small mining community with a cool place of respite and aquatic activities for all ages, the bulwark-like outer layer of rammed earth walls wrap themselves around three elevations affording refuge from the harsh environment,” notes the jury. In the residential new build category, the Robin Dods Award for Residential Architecture – Houses (New) was awarded to Stradbroke House by Tim Bennetton Architects with Gabriel Poole. “This lightweight house in the island bush appears as a series of tent structures floating above the land,” notes the jury. The Elina Mottram Award for Residential Architecture – Houses (Alterations and Additions) was awarded to Gibbon St by Cavill Architects. “The journey from the front door to the roof terrace has pockets of space along the way, a sunken lounge with a close garden view and a floating sitting room overlooking the back yard,” notes the jury.